The Ultimate 360 Automated Turntable Product Photography Kit is the quickest and simplest way to show off your products in 3D. Animated and video product images are the way of the future and you can now easily and quickly produce professional 360 animations with this amazing fully-automated Kit. We strongly believe that this is the way that website images are heading. So why not be ahead of the rest - that's always been our motto! 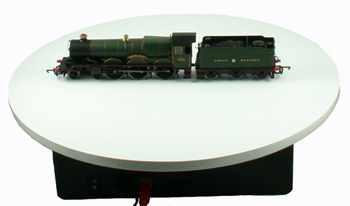 The Automated PC-controlled motorised 360 Turntable and Image Creation Software is also available separately or we can design a bespoke Kit tailored to your individual requirements. Please feel free to call for a chat. 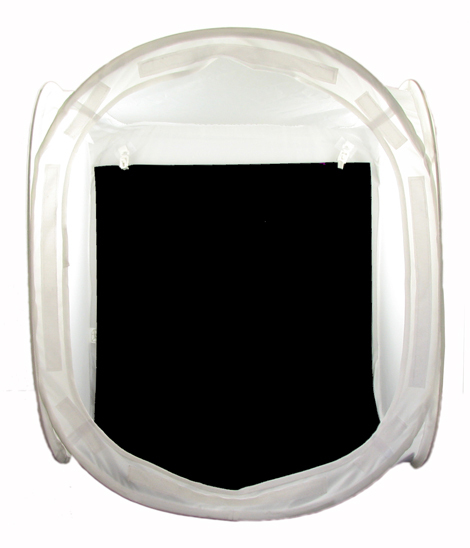 Suitable for all products under 25 lbs that can benefit from a multi-angled, interactive presentation. Primary applications include eCommerce, product development, product design, quality control and business communication. This Kit is perfect for product photography applications and animated web images. REAL-TIME PREVIEW- A real-time preview on your computer monitor screen allows you to view the object as it spins so you can make position, composition, lighting and crop adjustments before taking a single picture. The pictures are automatically cropped as they are taken and ‘Wobble’ issues are completely eliminated. AUTO IMAGE CAPTURE- In the software, select the number of pictures to take during one revolution, image size, image resolution and the direction of rotation. Pressing Start synchronizes turntable movement (starting & stopping) and the camera to automate picture taking. It's fast! Take 20 pictures in ~2 minutes 10 seconds. 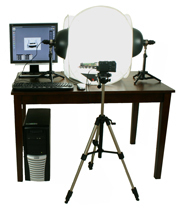 Continuous, time-lapse and manual image capture options are available. OUTPUT OPTIONS- Resulting pictures can be 1) stitched together in the TableTop 360 software to create animated Flash (SWF) and GIF files. 2) Exported for editing then re-imported for final stitching 3) Exported to another program such as Flash(R) or QuickTime(R) VR for final processing. A Fully Integrated System Software controls every aspect of the TableTop Studio Ultimate 360 system - from camera settings and picture taking to turntable movement and image processing. Everything works in unison controlled from one program that automates and simplifies all of the workflows involved in generating professional still and 360 degree product shots. Real-time Preview for Still Image Photography See everything in real-time on your monitor screen before you take a picture. Zoom, Crop and Rotate commands help compose the image before pressing 'Snap' to take the picture. Pre-Cropping for Still Image Photography In Preview mode click Crop and then drag the crop markers to select the area you want to keep in the picture. Keep only what you need, not everything the camera sees. Save time by eliminating the need to edit / crop the image later. Automatic Image Download Pictures are automatically transferred from camera to PC within seconds and displayed on the monitor for immediate viewing, editing and saving. This will save lots of time and eliminate the problem of downloading then realizing that several pictures need to be re-taken. With TableTop Studio Ultimate 360, you’ll know whether you got a good shot before removing the item from the shooting area. Image Stitching for Spinning Objects Captured images can be automatically stitched using the TableTop Studio Ultimate 360 software to create four types of Flash files (each with click-and-drag mouse control) and GIF files. Image Export / Import Sequences of captured images for product animations can be exported for stitching inside popular programs such as Flash® and QuickTimeVR® or for editing in Photoshop then re-imported for stitching. Image Processing Features Increase speed & efficiency. TableTop Studio Ultimate 360 includes image annotation and email capabilities, batch saving, resizing, naming, watermarking and the most basic image editing features such as brightness, contrast, saturation and sharpness. Images can also be directly exported to any editing program. 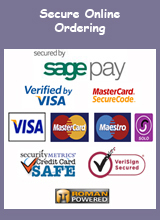 Batch Watermarking Place your logo or website address on your images. Images can be watermarked every time you save or send them from the program. Image Annotation Draw and write on images then send them via email from the program to communicate precisely with vendors, colleagues and customers. Clockwise or Anticlockwise Rotation or 3 Speed Continuous Rotation Users can choose to rotate their items clockwise or anticlockwise and shoot in three different photography modes: Manual, Time Lapse or Continuous. Time Lapse and Manual photography modes can be used to create dual animations. For example, as the item spins it also opens and closes or turns on and off. Fast Production Tool for Large Projects TableTop Studio Ultimate 360 is built for speed. Users can expect to take and stitch 20 pictures into a flash file in ~2 min 30 seconds. Powerful Business Communications Tool – Take, Annotate & Send Photos in Seconds TableTop Studio Ultimate 360 can create both 360-degree photos and professional stills, which both can be used to change how businesses communicate on a daily basis. By taking a picture or animation, annotating it with drawings and text then sending it via email, there is no room left for misunderstandings or poor communication. It’s perfect for companies that manufacture overseas or communicate internally / externally with people spread across different locations. 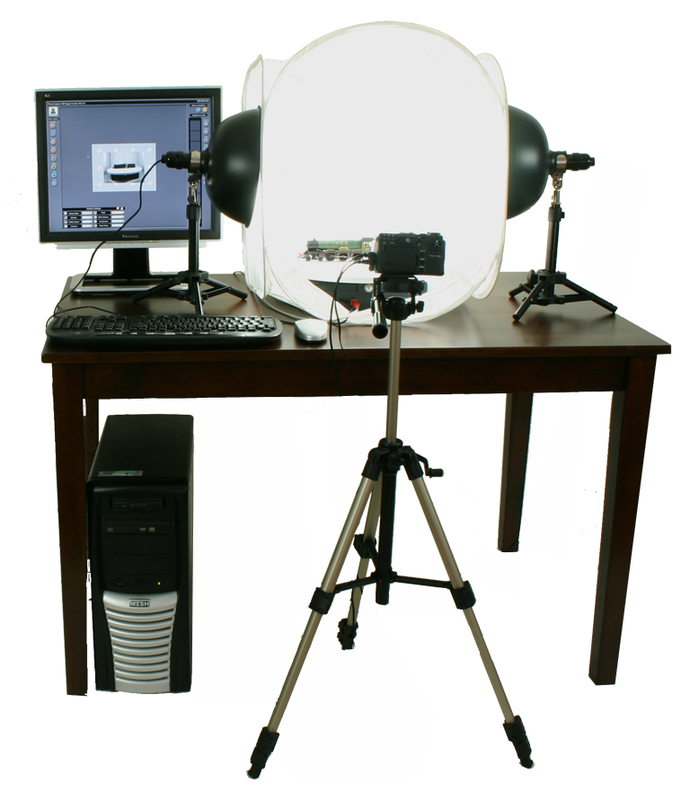 Any digital camera can be used with the Ultimate 360 Automated Product Photography Kit. 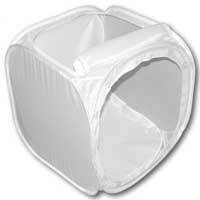 However, for a fully automated solution a compatible camera is necessary and recommended. 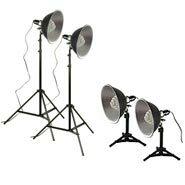 As well as the 360 Motorised Turntable and the Image Creation Software, the Ultimate 360 Automated Turntable Product Photography Kit also includes a set of our TableTop Studio Professional Two Lights Set and a 20" EZcube. This combination makes it easy to animate an object with a clutter-free background and to illuminate the object with beautiful soft daylight lighting.